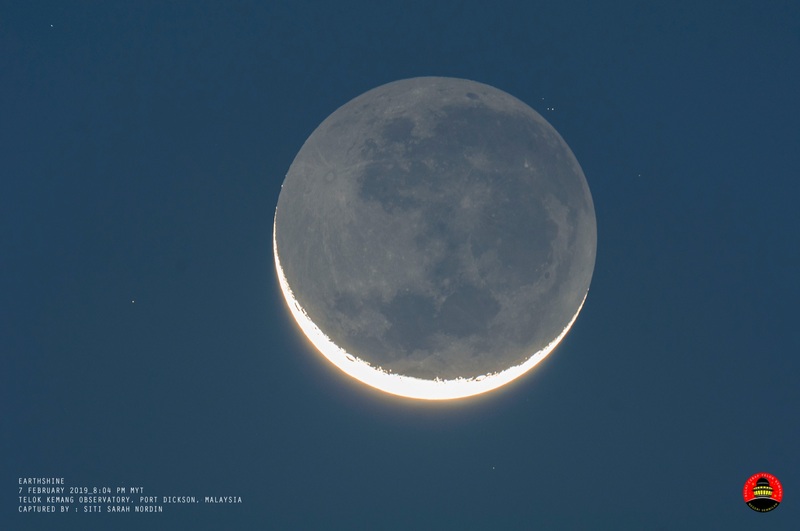 Earthshine effect can be seen along with few stars. Look closer at those tiny gems sparkling along the moon’s edge near to Tycho crater. Each is either a mountain peak or the top of a crater catching the first rays of the sun light. Don't mistake it as a star!